The concert Elvis gave on June 26, 1977 has one unique quality that sets it apart from all other Elvis concerts - it really is "the last live performance of Elvis on stage." For that reason alone, it's no wonder why bootleg producers have competitively released audience recordings of the show on LP's and CD's throughout the years. I heard the show for the first time back in 1980 on a terrible bootleg double LP called "The Final Days." By comparison, the Adios CD is far superior to that production all the way around. Adios sounds like it was recorded from the first or second row of the house. There is very little audience interference, by which I mean there is a limited amount of chatting, cat calling, hooting, and so forth. And by the way, you can hear that the audience is thrilled to have Elvis perform for them. You get to hear all of the songs in their entirety, which is great. Some of Elvis' monologue is hard to hear unless you're wearing headphones, but that's no big deal. The only noise that stands out is the winding and clicking of a 35mm camera. I swear, the photographer must have shot five rolls of film! Sadly, only four pictures are included in this release. The liner notes are Jerry Hopkins' description of the show. Whoever transcribed his words left in some obvious typos, but again, that's no big deal. In terms of show content, this is a standard late 70's concert. Larrie Londin is on drums, and you can tell that he isn't familiar with the routine. He adds a staccato drum finish to 'I Got A Woman,' making it sound slower and more dramatic. It's really neat. Elvis gives some rather strong performances. 'You Gave Me A Mountain,' 'Bridge Over Troubled Water,' and 'Hurt' are performed particularly well. There are two rarities for this period, 'Release Me,' and 'I Can't Stop Loving You.' Elvis didn't seem interested in singing either of these songs, especially the latter of the two. Nevertheless, it's interesting to hear these tunes so late in the game. 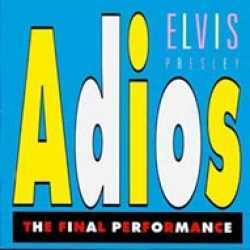 There is a four minute monologue just before Elvis closes the show. Elvis introduces his father, girlfriend, cousin, the concert staff, and just about everybody else. He also thanks the audience. I've read in other reviews that this monologue was supposed to be cryptic and prophetic, but I didn't hear anything that would lead me to believe that. As a matter of fact, Elvis states that he'll be back if the audience wants to hear him! How I wish that "prophecy" would've come true!! If you're a fan of Elvis circa 1977, like I am, you'll like this CD. The overall sound quality and production is great for an audience recording. The only thing that can top this production would be a complete soundboard recording released by FTD. That would be fantastic! © Armond Joseph - Missouri, USA - April 2003.